Marchesa is a brand specializing in high end womenswear, established in 2004 by Georgina Chapman and Keren Craig. The brand has been worn by a number of Hollywood actresses on the red carpet including: Penélope Cruz, Blake Lively, Jennifer Lopez, Kate Hudson, Cameron Diaz, Selena Gomez, Halle Berry, Leighton Meester, Rihanna, Eva Longoria, Taylor Swift, Miley Cyrus, Emma Watson, Olivia Wilde, Kristen Stewart, Nikki Reed and Hailee Steinfeld. Sandra Bullock wore Marchesa at the 2010 Academy Awards, where she won Best Actress and was also named among the best dressed by readers of the Huffington Post. Marchesa is sold in high end department stores worldwide including Neiman Marcus, Bergdorf Goodman, Saks Fifth Avenue and Net-A-Porter, in the US. Vera Farmiga wearing Marchesa at the 82nd Academy Awards in 2010. The company produces a couture collection as well as a diffusion collection known as Notte by Marchesa. Marchesa launched a handbag line, Wedding dresses and partnered with Lenox to launch dinnerware. Most recently Marchesa has collaborated with Le Métier de Beauté to bring a cosmetics line to the masses featuring the palettes of designers Chapman & Craig. Marchesa was featured on the cover of Vogue magazine's September issue, the same issue was the subject of the 2009 documentary The September Issue starring Anna Wintour. Marchesa's Georgina Chapman appeared in an episode of Gossip Girl with Blake Lively. 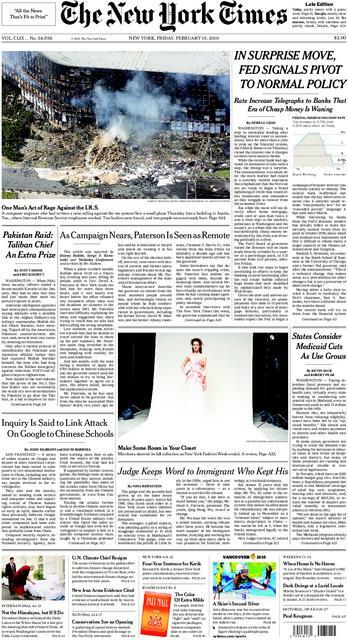 Marchesa was also featured on the front cover of the New York Times during New York Fall Fashion Week on February 19, 2010. Marchesa launched a fine jewelry line in February of 2015 sold exclusively through Macy's. Marchesa launched a costume jewelry line in the Fall of 2015 available at Nordstroms and Lord & Taylor department stores. Marchesa is named after socialite Marchesa Luisa Casati. British born Georgina Chapman and Keren Craig met at Chelsea College of Art and Design in London. Georgina, a 2001 graduate of the Wimbledon School of Art, began her career as a costume designer. Keren graduated from Brighton Art College in 2000 and subsequently focused on print and embroidery design. Georgina’s draping and design paired with Keren’s textile creations resulted in the establishment of Marchesa in 2004. This page was last modified on 12 January 2016, at 20:30.